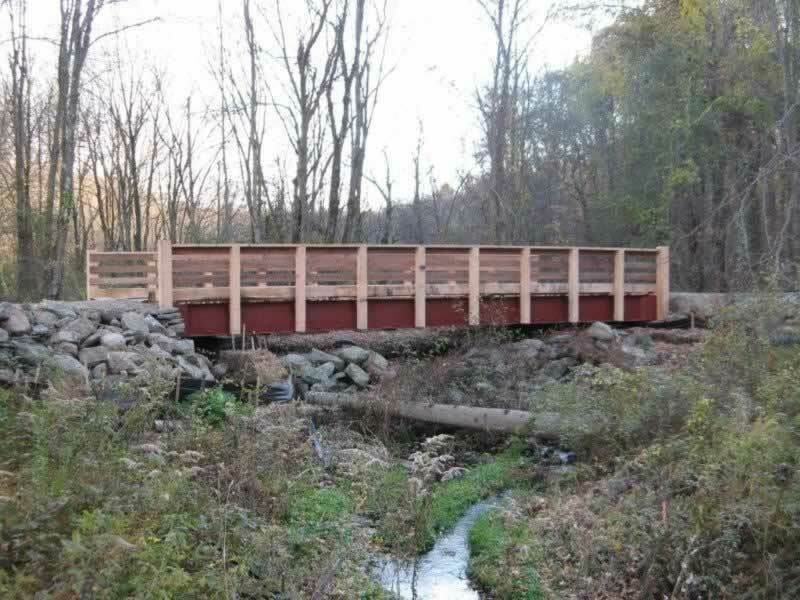 This project was for a land developer who needed to cross some wetlands. 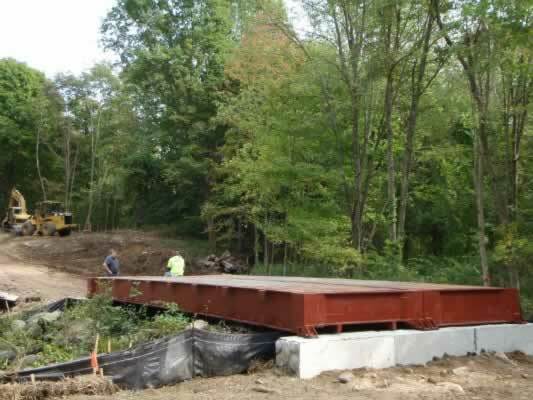 He might have been able to get away with a culvert but building a bridge made it a lot easier to get permits which ended up saving a lot of time and money. 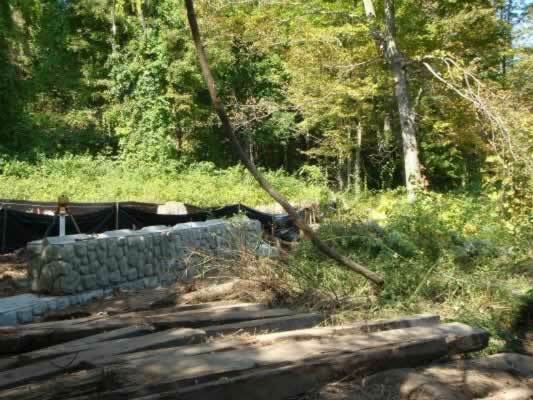 Since our client, the land developer, was also a general contractor he was able to "general" out all of the work to local contractors. 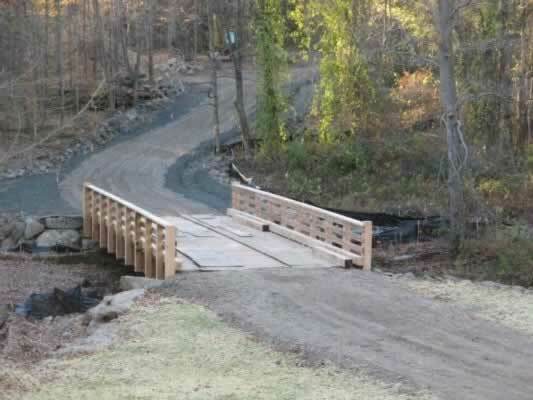 The client hired Paragon to assist during the installation of the bridge but all the actual work was performed by his guys. 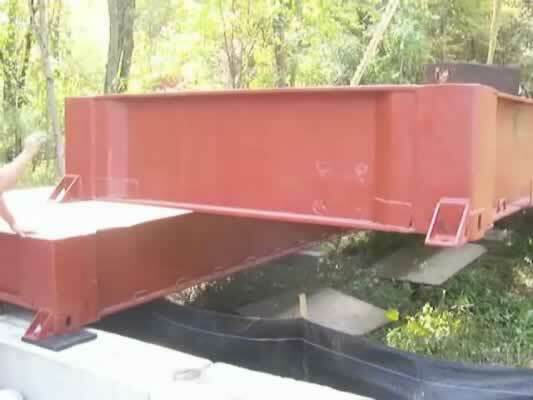 This is a very good solution to contractors who think they can install the bridge themselves but just need a little guidance just in case things go wrong or there are uncertainties...which always come up. Guardrails: Custom built by client. Abutments: Client was able to find some local pre-cast concrete blocks that were similar in size to Paragon's pre-cast blocks. 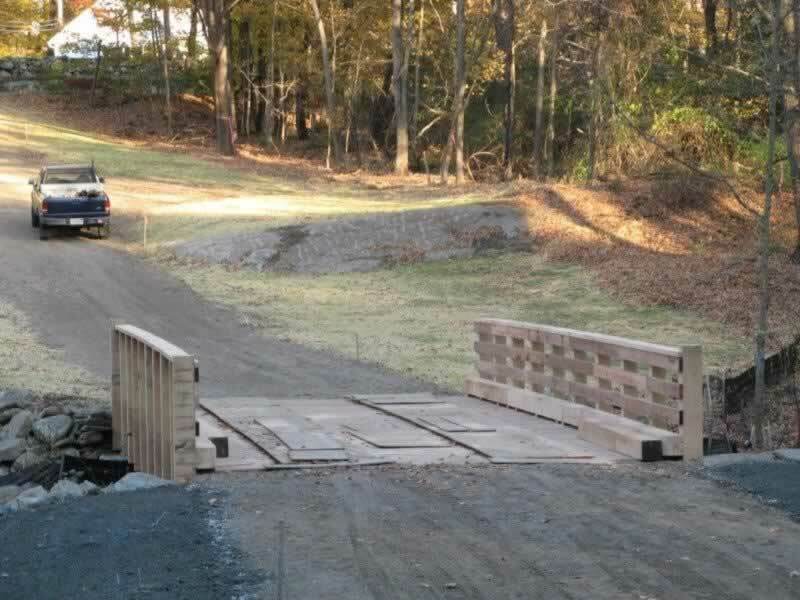 Client wanted to save as much money as possible so client modified Paragon's "standard" abutment and guardrail packages to better suit his unique needs. Paragon gave him some guidance along the way to ensure a safe and code compliant solution. This is a prime example of how Paragon puts the needs of clients above trying to sell them product. We had a representative from FastenMaster stop by our bridge site and demonstrate their TimberLOK screws...which we were very impressed with and is now the screw the we recommend. This was a very nice treat since FastenMaster's headquarters are located about 10 miles away from this job site. Thank you FastenMaster!